Used 454 Horsepower from Kicking Horse Coffee. Sat in the fridge brewing for about 16 hours. Tastes pretty good, but seemed a bit light. And the grind was a bit too fine, I've got grounds in the coffee. I don't really care, but some others might. For the drink I used a ratio 1 part coffee to 2 parts milk. 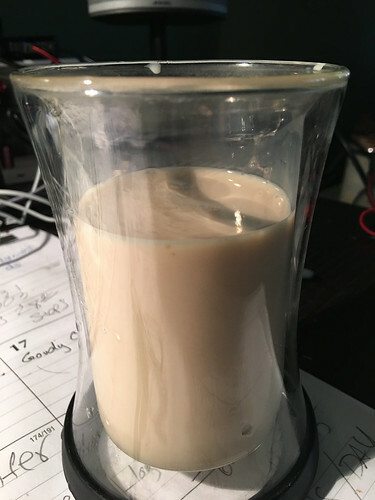 (3 oz Concentrate 6 oz milk). I'll try it with maybe half/half next time. Still, I don't think it is too bad for a first effort.